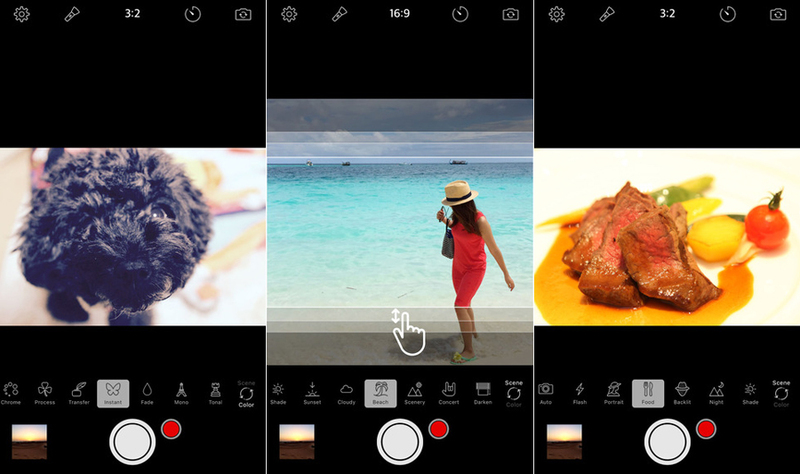 This camera app lets you hold your smartphone vertically to take photos and videos of any size. Since you don’t need to change your phone’s orientation, you can easily take landscape photos and videos with one hand. To change the size (aspect ratio), you just slide your finger vertically on the screen. Scene correction and filter effects are reflected in real-time. You can also shoot silently, so it’s perfect for use in restaurants and other settings where you want to be polite. Find out first-hand how useful it is to shoot vertically!